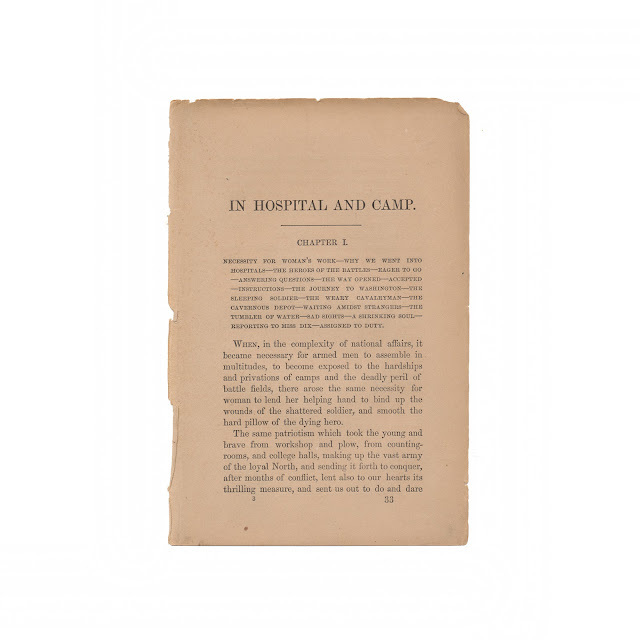 This antique print measures 5 x 7.5 inches and comes from a disbound volume of "In Hospital and Camp: A Woman's Record of Thrilling Incidents Among the Wounded in the Late War" by Sophronia E. Bucklin. It was published by John E. Potter in 1869. A detailed account of the author's experiences working in the various Union hospitals during the Civil War, as well as recalling her few visits to the battlefields, chronicling the lives of the wounded soldiers during the war, as well as the struggles of working in hospitals. This includes her efforts serving at a tent hospital at Gettysburg. Image of the first page is presented for reference and is not included in the sale. 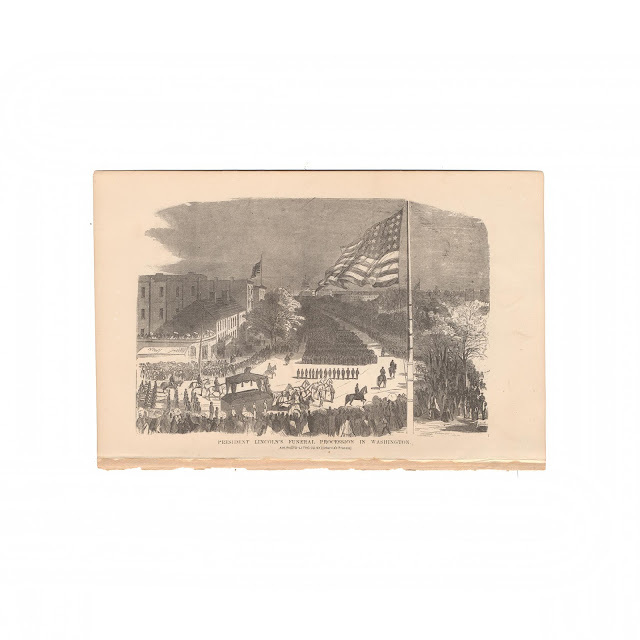 This print is titled "President Lincoln's Funeral Procession in Washington." It shows some browning and light soil, minor edgewear. Shows rough edge from where it was bound into the book.